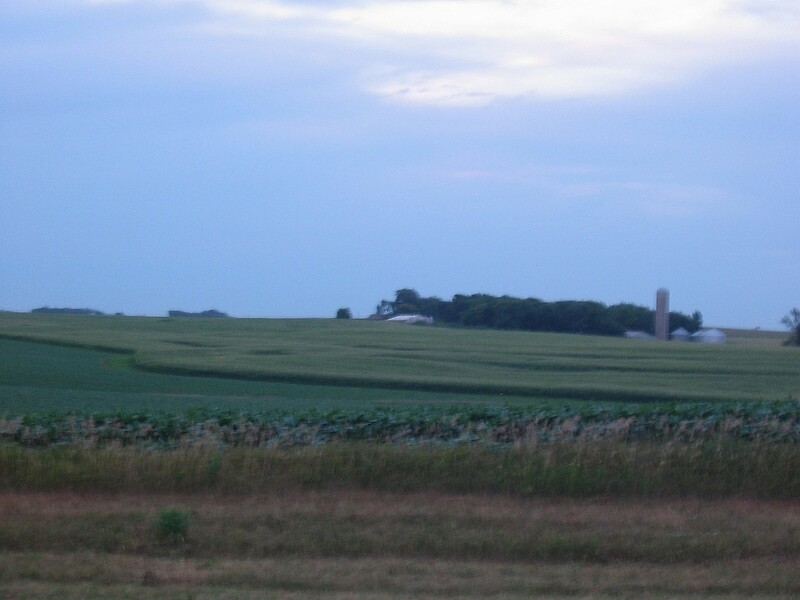 I was touring across Iowa when I viewed two faces of Mother Nature. Floods and twisters had just torn up both ends of the state. But a gentler sort of wind made music as it rustled its way down a cornfield. Then I remembered how the voice of Jehovah had spoken out of the whirlwind. He was born by the Eastern sea. Went to school, and he got a degree. Looking out for a kingdom come. Dipped his feet in the Rio Grande. Till he ran into the Iowa wind. Planting seeds in the Promised Land. Fields were smiling, from ear to ear. Saddled up with the setting sun. And they’d ride like the Iowa wind. Washing his face in the Iowa wind. Seven years, they had come and gone. Had a spread he could call his own. Till the day when the clouds turned black. Spitting out only piles of straw. Up above, heard the circle spin. Lost it all to the Iowa wind. Looking out on an endless green. Wore a line in his weathered face. Was the sound of the Iowa wind. As he prays to the name of the Iowa wind.